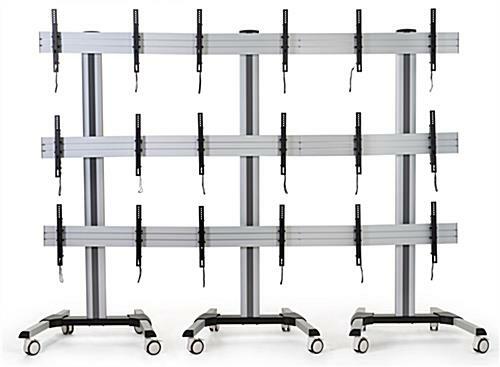 Our 89” tall freestanding video wall allows you to reach new heights in communication, marketing efforts, and business services. 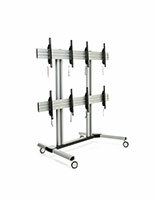 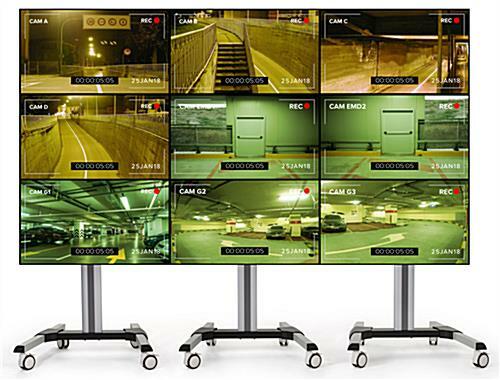 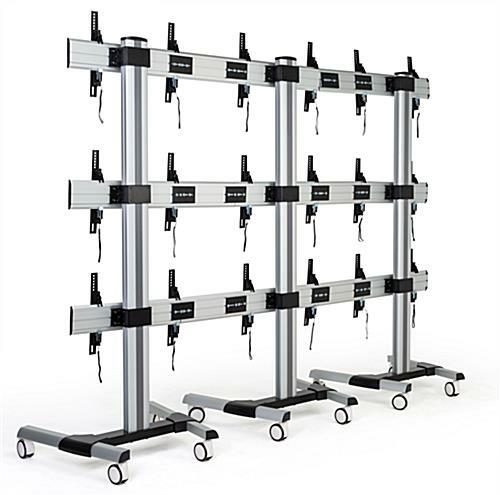 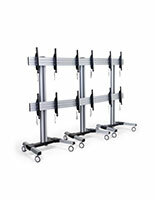 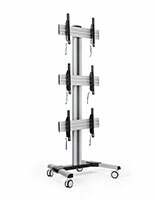 The (9) screen display will transform your university, IT department, or security office into an innovative space. 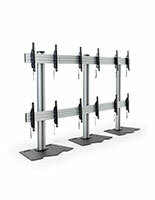 Base installation of the freestanding video wall is described clearly in carefully-reviewed assembly instructions to ensure an easy, fast, and secure set-up. 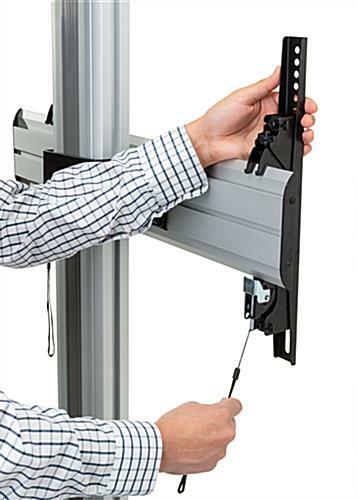 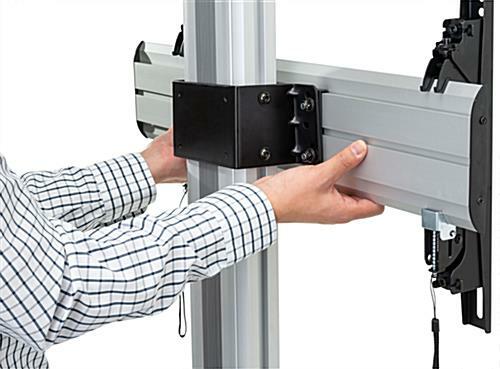 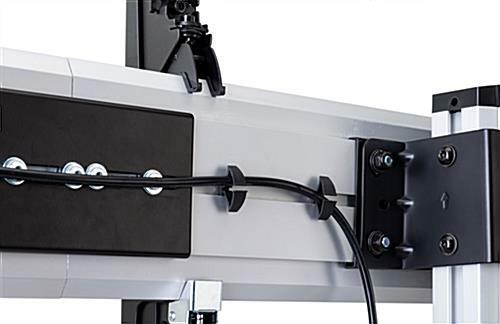 Display professional communications, university announcements, security cameras, and everything in between with the quick-mount, anti-theft screen brackets. 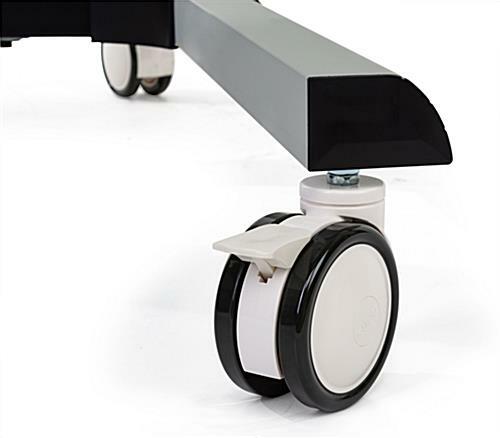 Base installation comes complete with 12 locking, shock-absorbing wheels capable of securing up to up to 50kgs/110lbs. 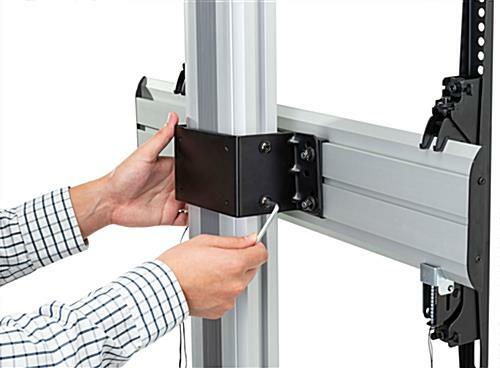 on each panel. 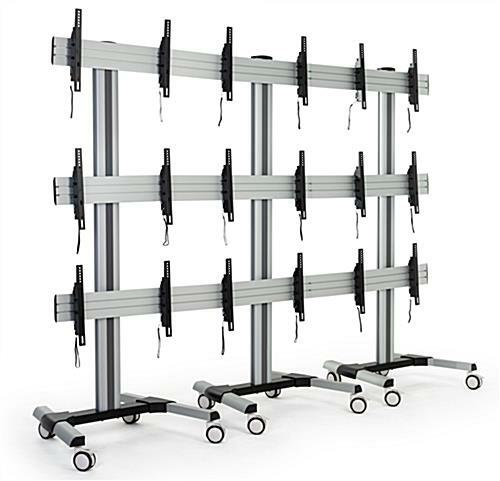 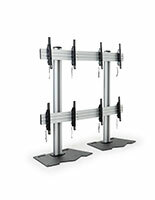 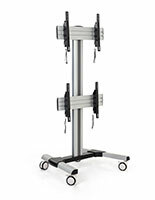 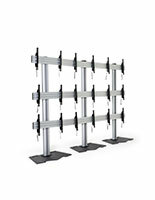 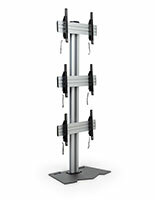 VESA compatible for (9) 45” - 55” screens, with smooth lateral shift adjustment ensures that the freestanding video wall will provide an optimal viewing experience.